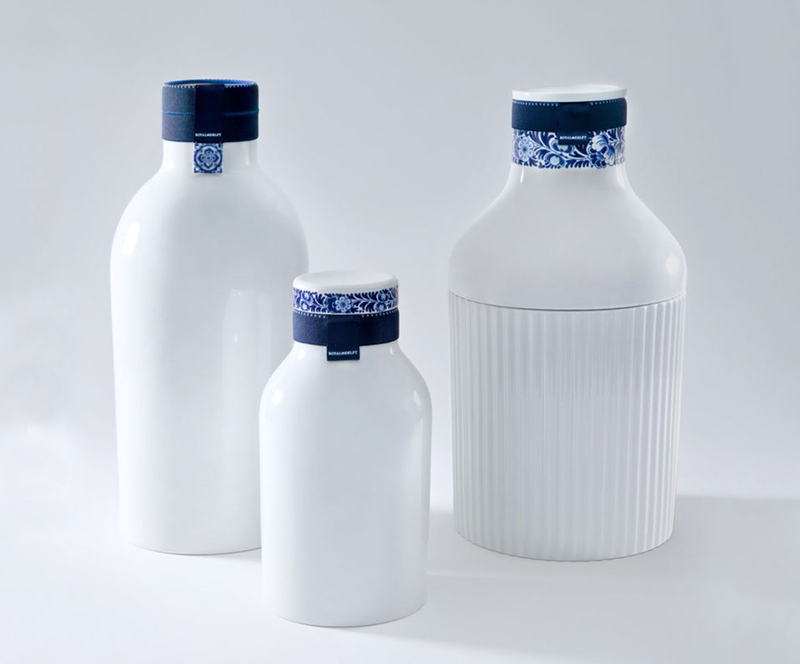 Royal Delft (Koninklijke Porceleyne Fles) is the only remaining of 32 earthenware factories that were established in Delft in the 17th century. 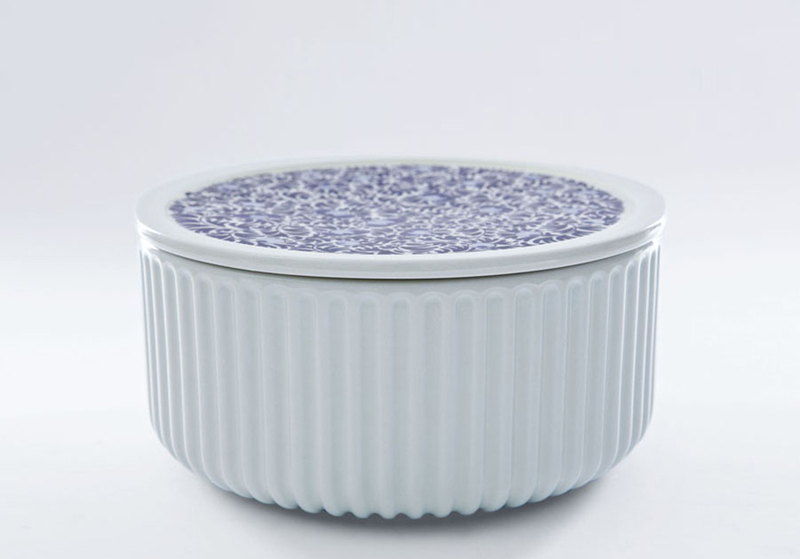 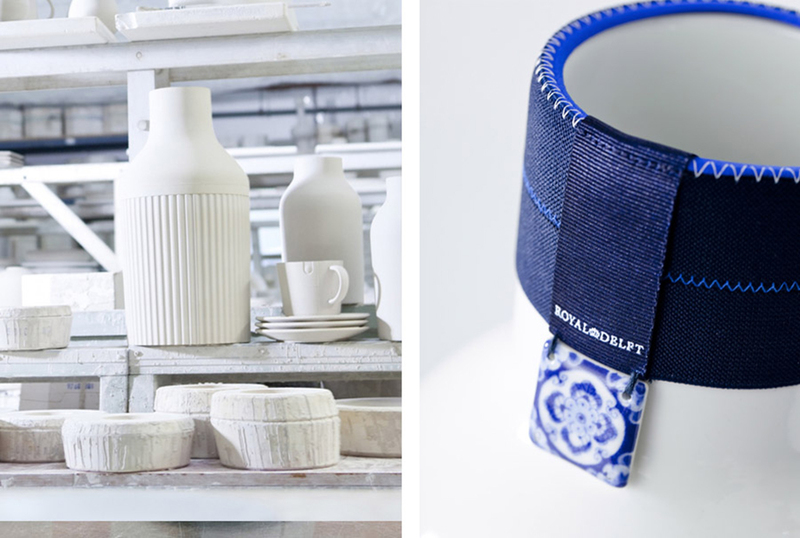 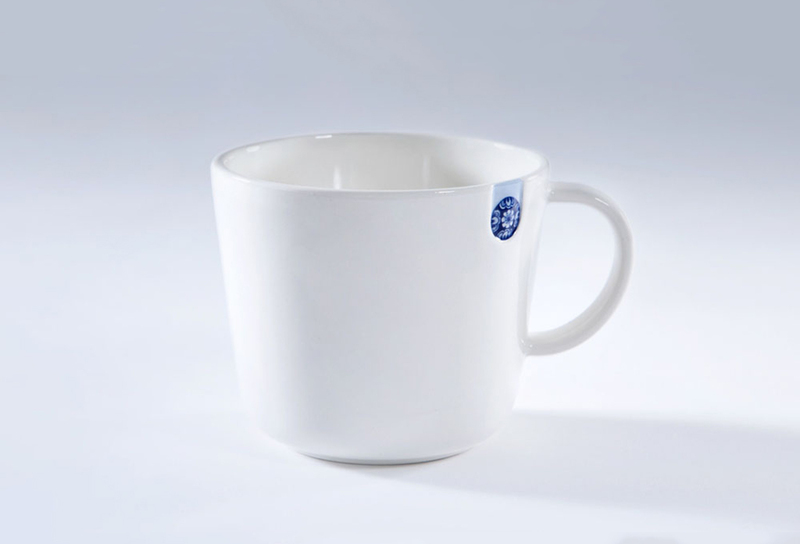 In 2012 Arian Brekveld designed the collections Blue Collar and Touch of Blue for Royal Delft. 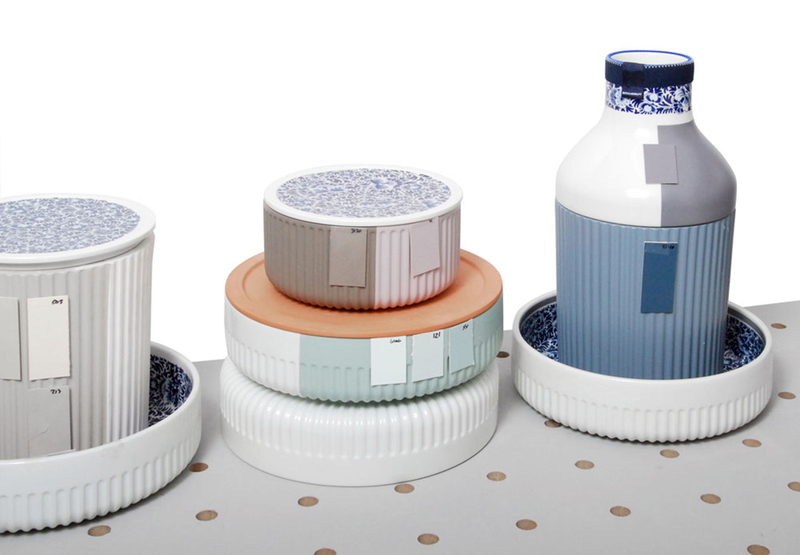 This year new pieces were added to both collections. 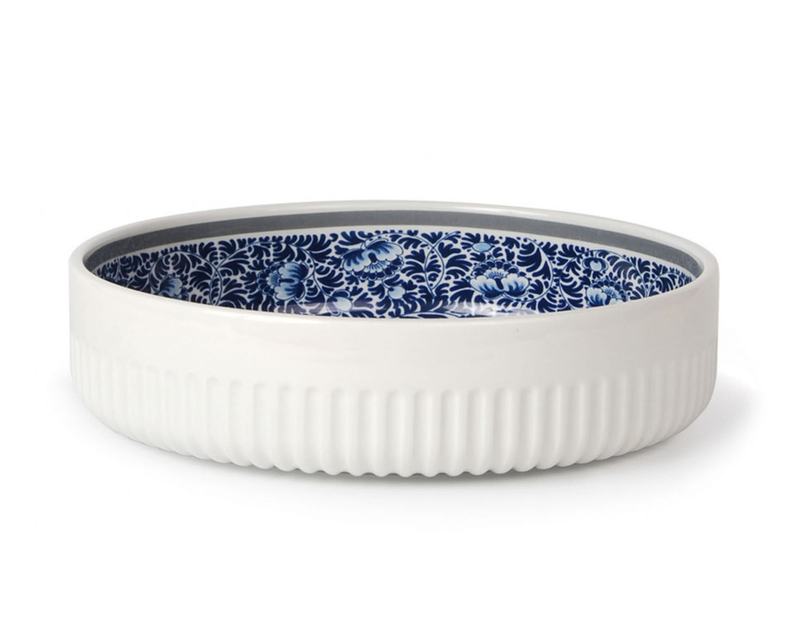 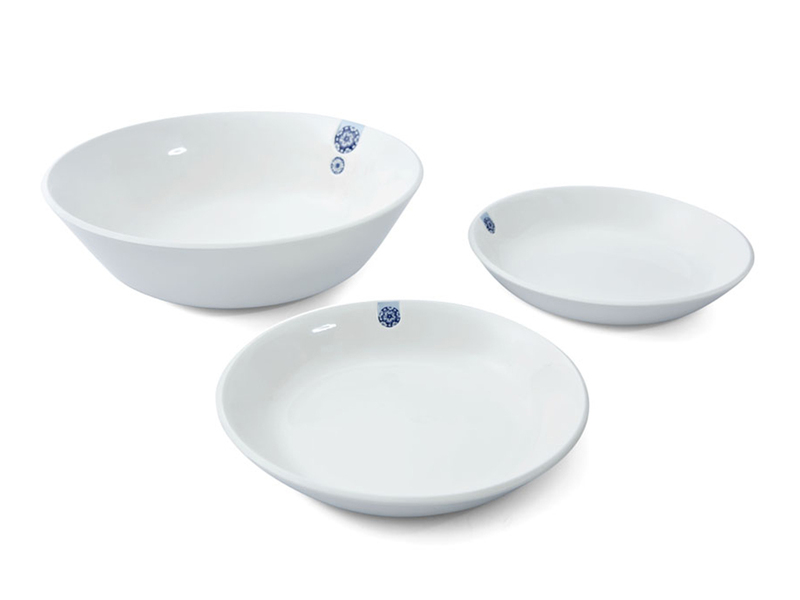 In addition to their use aspect, the Blue Collar Bowls have a decorative function as well. 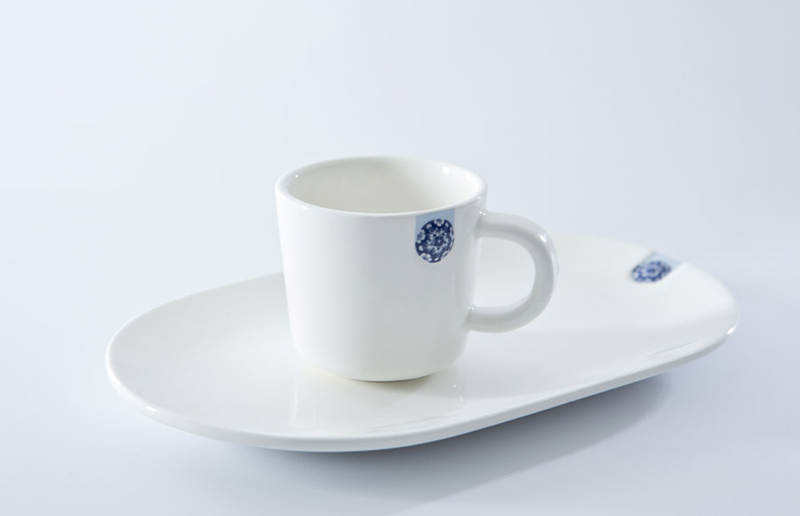 Therefore, a larger portion is decorated, using traditional motifs from the heydays of Delft Blue. 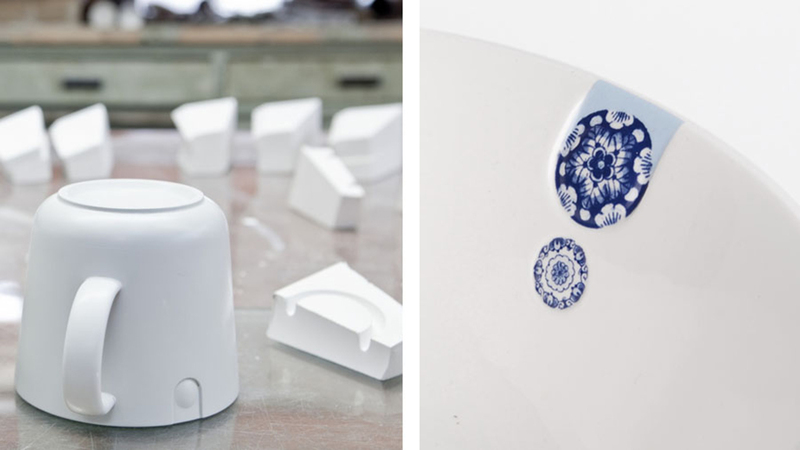 Master painter Simon van Oosten especially made a customized flower motif.